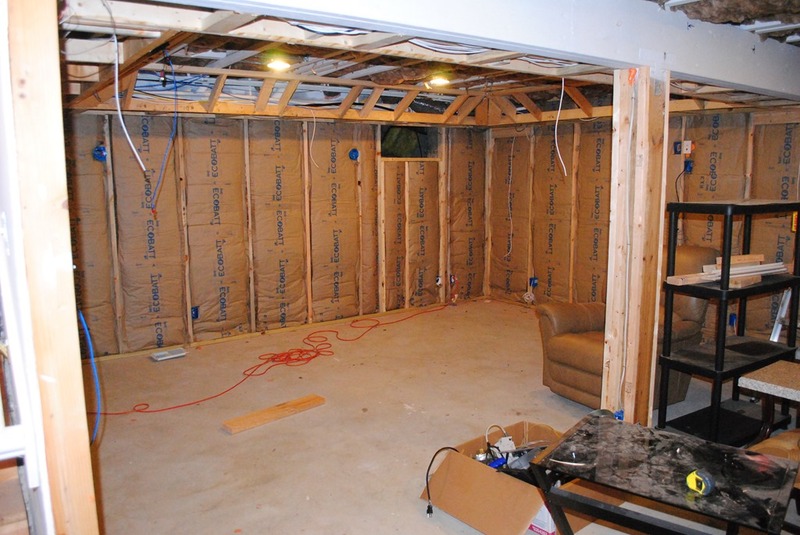 In the second post about our basement remodel, you get to see the actual layout of the basement. It went from the blank slate that we began with – concrete walls and floors with two crawlspace entrances to an actual room. Although phase 3 was another part of infrastructure. PHASE 3: we were still in infrastructure mode. This included the wiring for the electronics his speakers, the projector, the screen, the components, the networking all of the stuff that sounds like the adults in the Charlie Brown cartoons when it is explained to me (whamp-whamp-whamp, whamp-whamp-whamp). We had this done another two or three months after we finally finished the electrical. 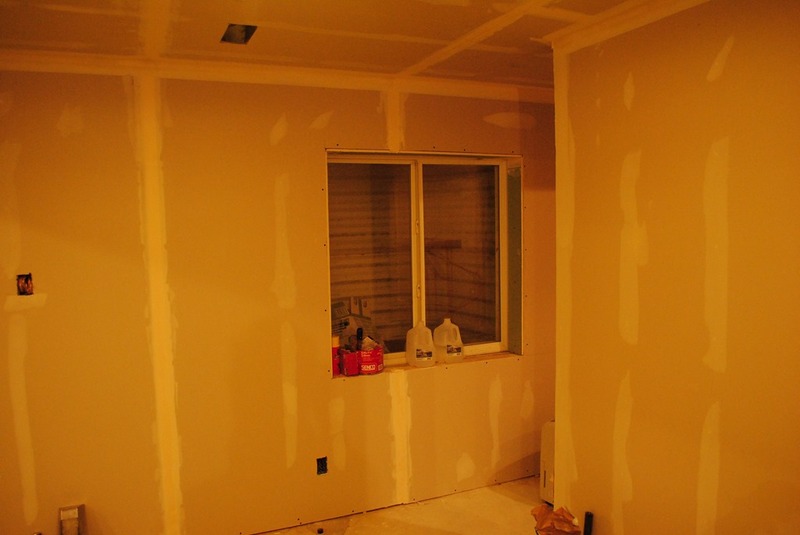 PHASE 4: this would be the insulation and drywall. 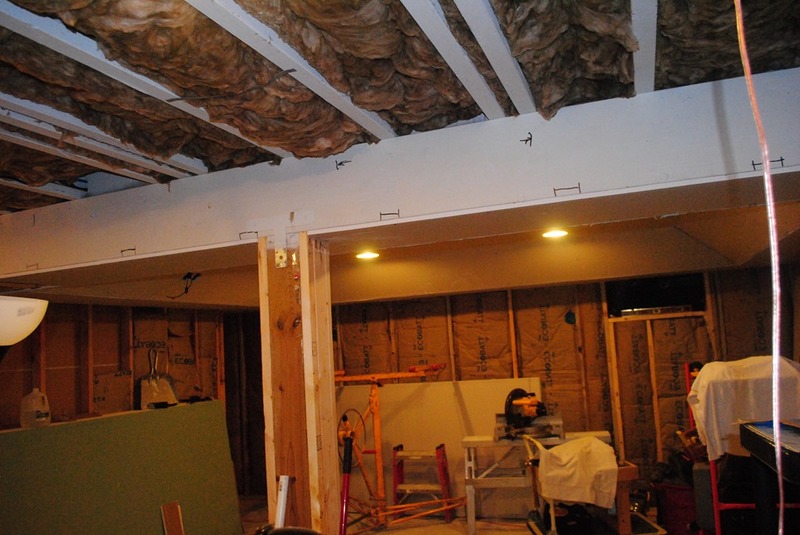 A lot of people could not understand why we decided to insulate the basement. They didn’t see the entire “infrastructure” Stan had installed for his picture and sound. Nor did they hear him talking about it. The rest of the house needed some insulation against all of that. I strongly suggested we get some long sleeve shirts and jeans, gloves and face mask and get to stuffing some insulation. This would save us some money ( I was starting to feel some anxiety about the electronics he had plans for and what that was going to do to the budget). Stan did not share my enthusiasm and wanted no part of possibly getting fine bits of fiberglass from the insulation in his cloths. He drove around several home construction sites and found an insulation guy. They came over on a Sunday and finished the job is less than six hours. 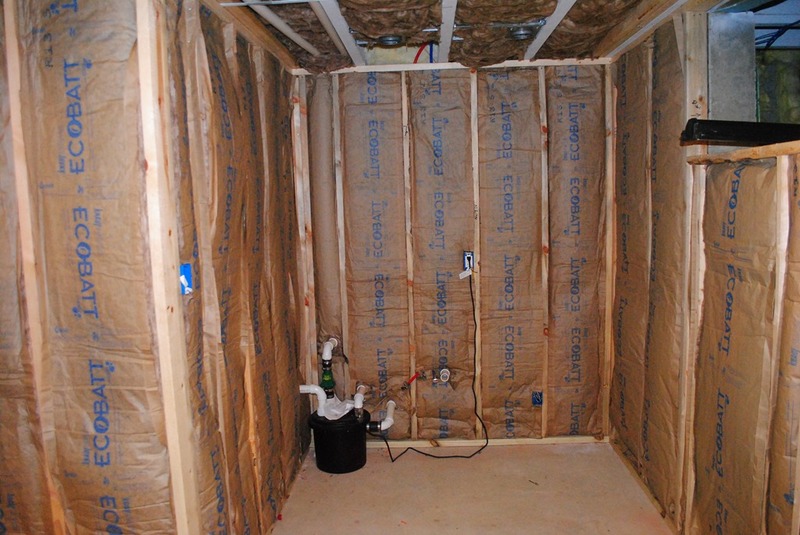 We got a higher grade insulation than we would have purchased ourselves and still ended up with a better price had we purchased that grade ourselves. You have got to love tradesmen when they give you a fair price. This was the bar area. The black tank is the plumbing for the shop and bar sink. This was the theater area. The layout ended up getting switched around later; with the screen being on the right and the projector on the left. 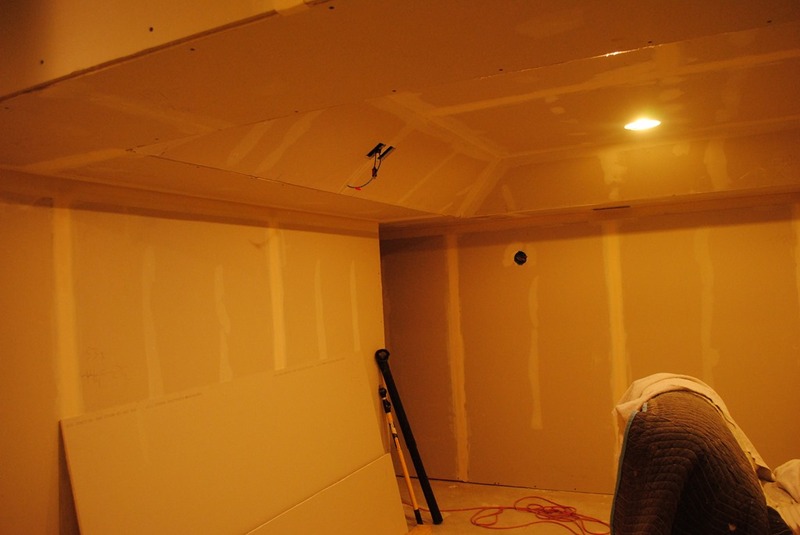 Drywall was a long and messy process. I was very pleased with our drywaller. His crew consisted of him and occasionally his son. It took longer, but the work is exceptional. I would not have traded him for someone with a larger crew that could have finished in a shorter amount of time. There was some dust that came about due to the work, but it could have been SO MUCH worse. He had HUGE dry-vacs that he used to get the dust up each day, he had a sticky pad that they stepped on when they came out of the basement, and the cleaned up each night before leaving. It took us about three weeks. 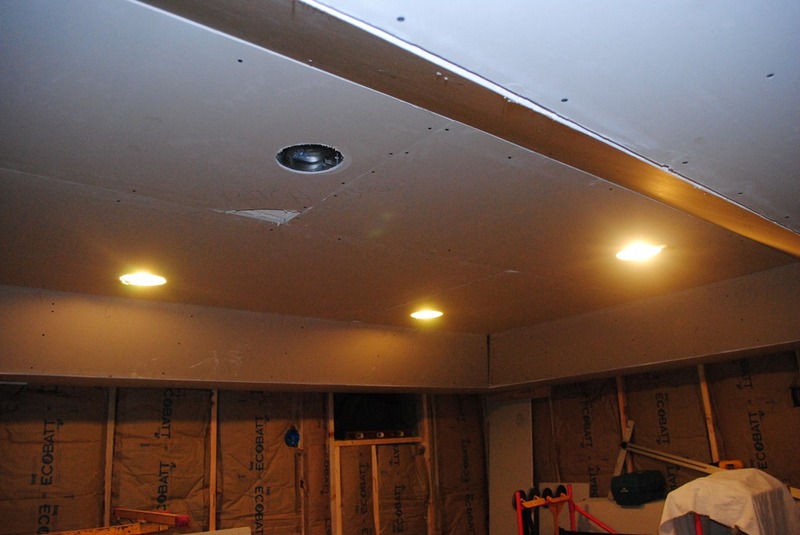 When he was done it was amazing…we had a basement that we could now really see what the final product would look like. The ceiling in the theater area is angled. Almost like a cove ceiling. After we got the drywall finished, it was time to pick out paint and flooring. We had walls, now it was time to get started on the making it beautiful.